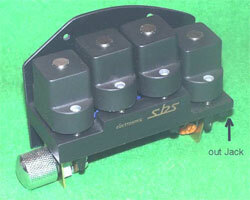 A magnetic double bass pickup from Slovakia. Available as passive or active model. Im using Active pickup QA170A20. Maybe its not the best looking pick up on market BUT its best magnetic pickup i´ve ever try.